Because it was kind of a big deal so I just got to record this memory on the blog. The news of this once in a lifetime opportunity came on my birthday just when we were about to leave home for dinner. 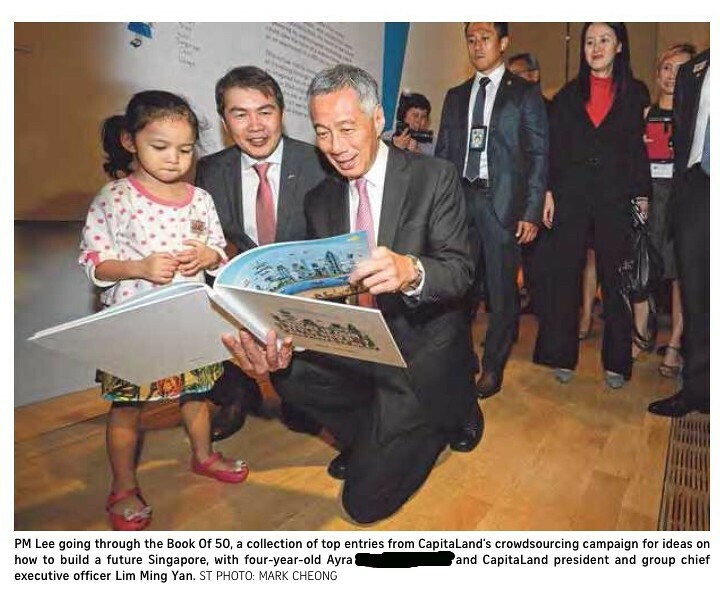 The lady from Capitaland called and asked if Ayra would be able to join them at the launch and present a token of appreciation to PM Lee at the Straits Time exhibition, Singapore STories: Then, Now, Tomorrow, where Capitaland is the main sponsor for. The first thing that came to mind was “Oh no! Ayra? Our super shy Ayra presenting to PM Lee? Surely cannot loh! It’ll be a photo disaster!“. But of course I did not say that and politely accepted the invite. The moment the phone call ended, I started prepping Ayra immediately! Yes I am THAT kiasu although we were two weeks to the launch. Days preceding to the day when Ayra meets our Prime Minister at the launch, I explained to her what she was going to be doing, who PM Lee is, how he is related to the late Mr Lee Kuan Yew (because Ayra knows about him during the period of national mourning), what she can expect at the launch and how she should behave and smile all the time. 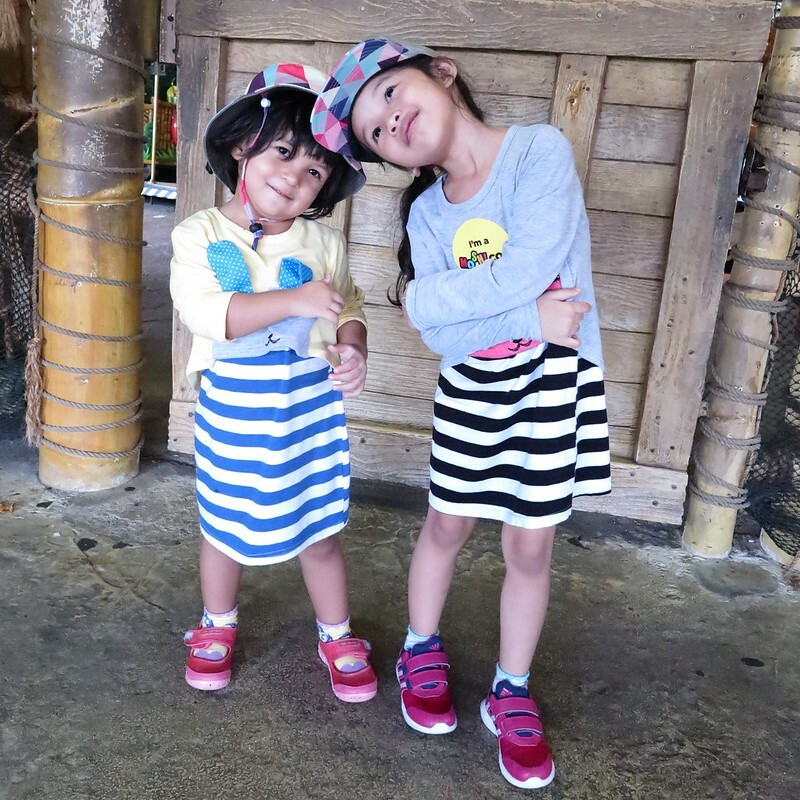 Ayra was even told to imagine that she will be invisible that evening and only Mummy can see her, so she does not need to worry about strangers looking at her. It was quite a stressful experience for me because this is confirmed going to be published in the papers loh! See she was all smiley and happy before dinner. 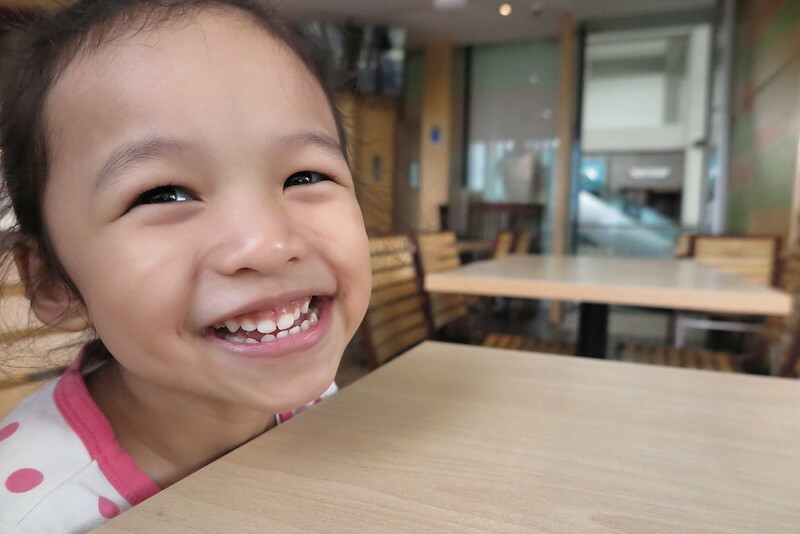 Ayra you would have been such a doll if you gave that big smile when you met PM Lee that night. Everything went well and Ayra was all set and ready for the big event that evening. We arrived at Marina Bay Sands slightly earlier to slowly set her mood and have our dinner. All was smooth and great until when we were ready to walk over to Art Science Museum (ASM) where the launch and exhibition was taking place!!! I was almost lost for words and ran out of ideas to coax this little shy princess of mine. She refused to walk towards ASM and insisted her feet were too tired to move. 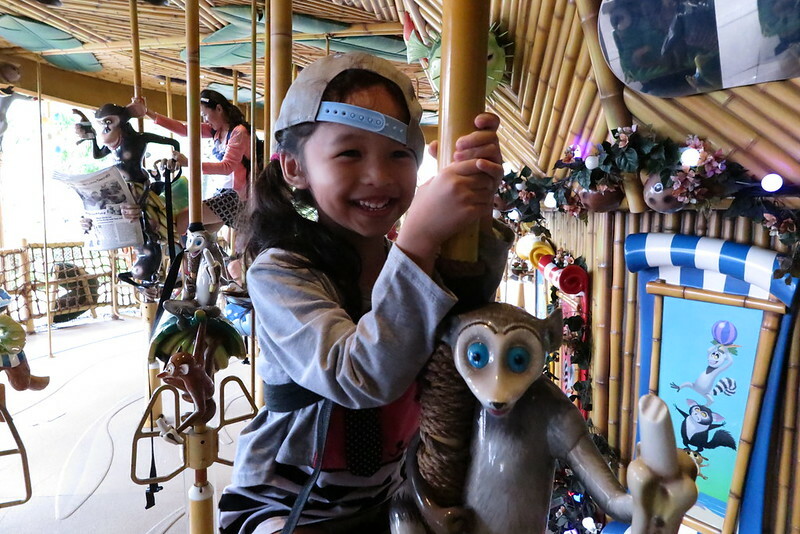 There is no way we are backing out of this so I used all mighty power of imagination to help ease her anxiety and we managed to go through the whole event without any need to tame any crying girl. 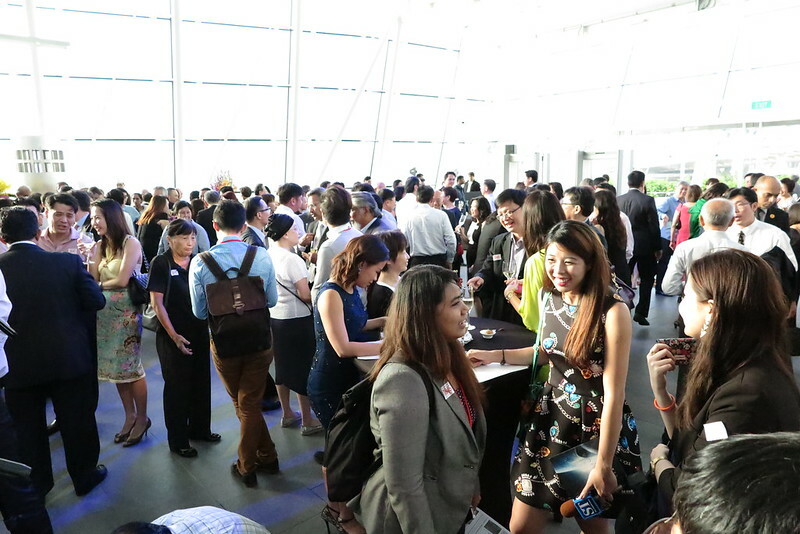 All these wouldn’t be possible without the great help, hospitality and patience from the ladies from Capitaland. The all adults crowd probably intimidated the tiniest little girl there. 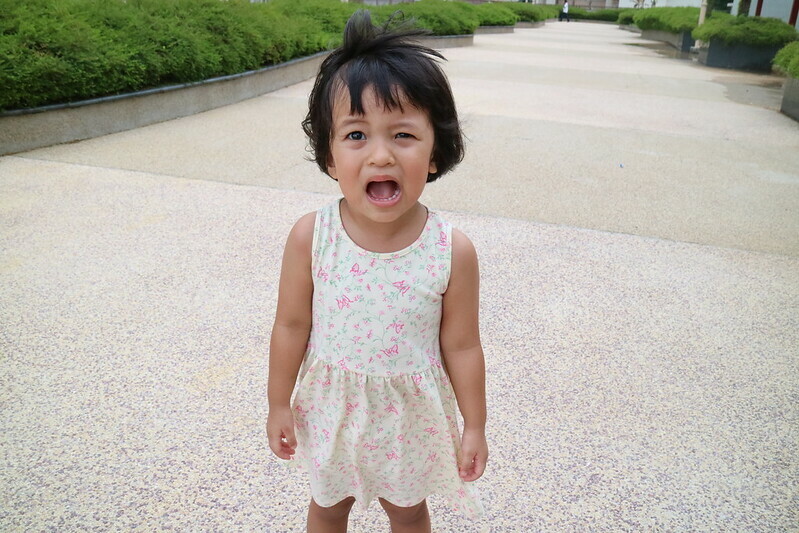 Keeping Ayra occupied and warmed up while waiting for PM Lee to reach our exhibit hall, which is the last in the entire exhibit. 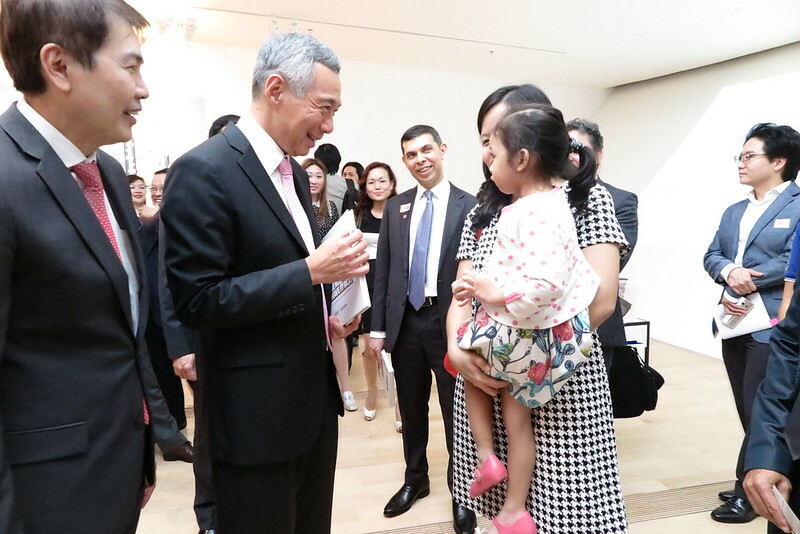 As I had expected, Ayra was too nervous and stunned like vegetable when the huge entourage of media and photographer engulfed PM Lee, CEO of Capitaland and her during the presentation. Her feet were stuck to the ground, lips tightly sealed into a straight line and refusing to smile for the cameras. I am very very grateful and thankful for the initiative taken by PM Lee during the presentation, he taking the extra effort to ensure photos were taken for the news piece and even giving us a second chance to have some more photos taken. PM Lee making small chats with Ayra, trying to get her to warm up. Photo taken by not-sure-who-cos-camera-passed around. And the one most unforgettable thing he did was to reply to my posting on his Facebook page, acknowledging Ayra’s presence that night. 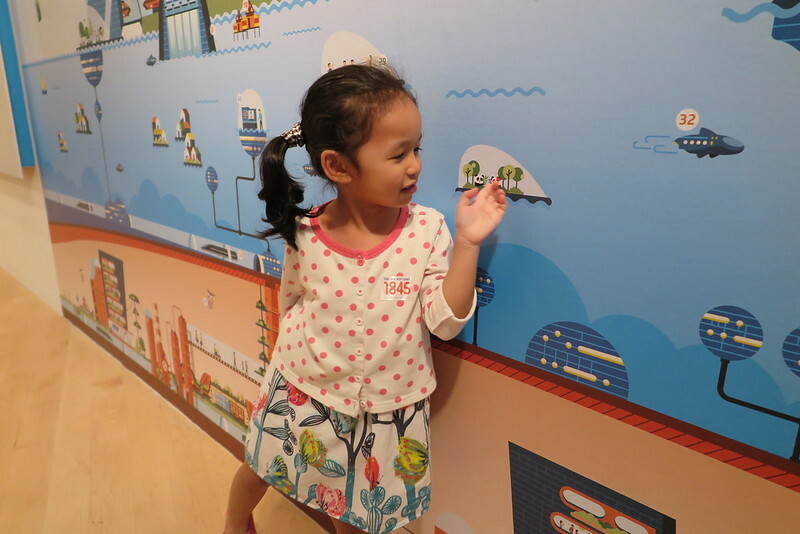 If you are wondering why Ayra was invited to do this, well because she is the youngest participant of #BuildSG2065, a campaign by Capitaland. 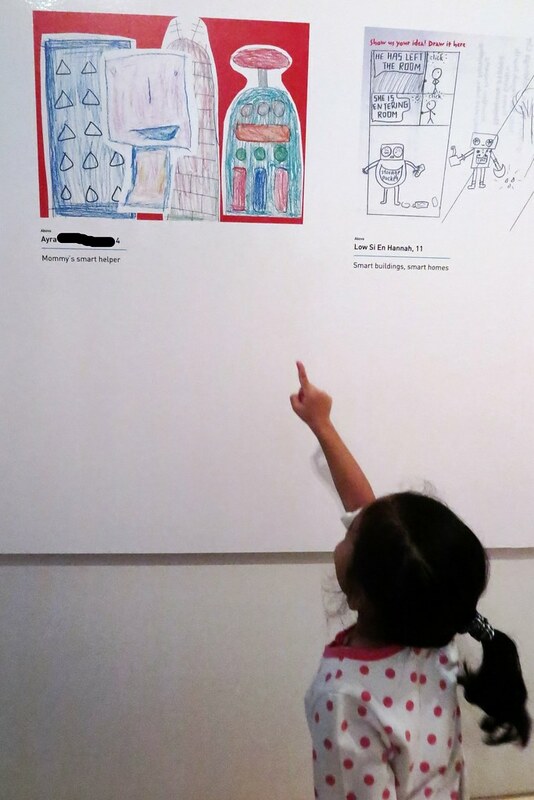 Ayra’s art piece duplicated and now on display inside Art Science Museum together with many other creative submissions for #BuildSG2065. Thank you again Capitaland for this memorable experience for me. As for Ayra, I think she would probably laugh at how silly she had been that evening when she sees this post and view the photos taken that night with PM Lee. Singapore STories: Then, Now, Tomorrow, at ArtScience Museum from now till 4 Oct 2015. Go check it out!